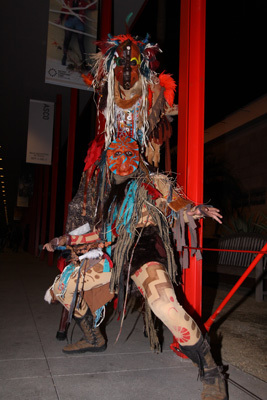 Our annual Muse Costume Ball is always one of the highlights of the year at LACMA, but this year’s was truly something to behold. 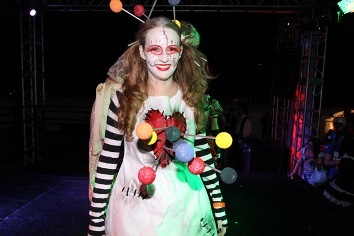 1,200 costume-clad characters overtook the museum for a night of Tim Burton-inspired revelry. Below, just a few of the highlights. Check out KROQ’s photo album for many more, or this Facebook album from Snap Yourself!. 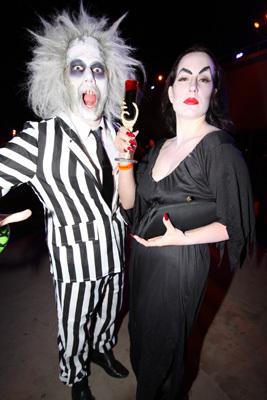 And though the party technically ended around midnight on Saturday, all the Tim Burton closing festivities have kept the Halloween spirit alive (or perhaps undead is more apt) all weekend. 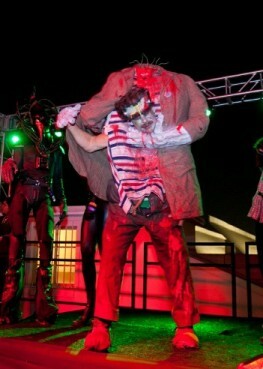 The doors to Tim Burton have been open nonstop since 10 am yesterday and will remain open until midnight tonight. We are blown away by everyone who has filled the galleries in the wee hours of the night, and we apologize to all the teachers and bosses out there who now have to deal with their bleary-eyed students and employees. Tickets for the remaining hours of the exhibition’s run are nearly gone. There will be a limited number of tickets sold on site only (read: no more online ticketing), but it is first come, first served, and demand is high. A big thank you to everyone who has come to see the exhibition since it opened in May–it’s been a wild ride. I don't know exactly what this is, but it's intimidating! 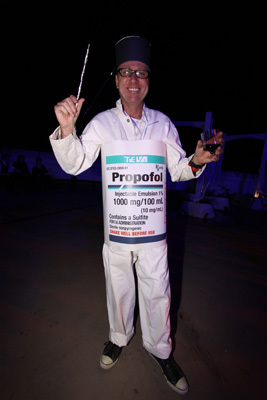 I thought you weren't supposed to mix prescription drugs with alcohol? ...not kidding. There were a lot. It is fitting that the Tim Burton exhibition will close its doors at midnight on the beloved director’s favorite holiday—Halloween. This weekend, we celebrate the closing of the exhibition with extended hours, great programs for families and adults, a free Vincent Price film marathon, and a Tim Burton–themed costume ball. For all the night owls, we are keeping the exhibition open for thirty-eight hours straight from 10 am on Sunday all the way through midnight on Halloween. (UPDATE: A limited number of tickets for Monday 5 am to 9 am are still available for online purchase. All other times are SOLD OUT online.) We’ve also discounted admission on Monday morning to $10 before 9 am (that’s half off! ), so make sure to reserve your tickets in advance, hop into your costume, and visit the exhibition during Halloween’s witching hours. Besides checking out the exhibition, there will be lots for families to do on campus all weekend. On Saturday from noon to 2 pm, families can join an art workshop and performance in the park, where they create their own props, costumes, and instruments and then use them together in a fun All Hallows’ Eve–themed storytelling performance. Andell Family Sundays are Burton-themed this weekend too. Adults and kids can take part in an artist-led workshop to design costumes, make puppets, and put on a puppet show. One of the great things about having the Tim Burton exhibition at LACMA is that it gave Tim Burton himself a chance to fill a gallery with items of his choosing from LACMA’s permanent collection. Burton Selects: From LACMA’s Collection is a great way to complement your visit to the exhibition. From Japanese art with ghosts and demons to Renaissance drawings, the works in this gallery speak to Burton’s wide artistic inspiration. Gallery educators will be in the Burton Selects gallery from noon to 4 pm on Saturday to lead conversations and answer questions about this eclectic mix of works. While you are on campus, make sure to wander around to our other eight exhibitions on view too. 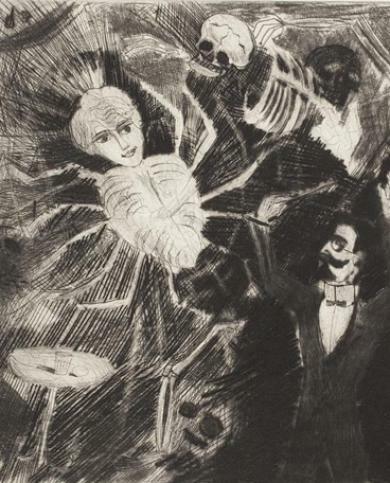 Otto Dix, Illusion Art, 1922, The Robert Gore Rifkind Center for German Expressionist Studies, © Otto Dix Estate / Artists Rights Society (ARS), New York / VG Bild-Kunst, Bonn. 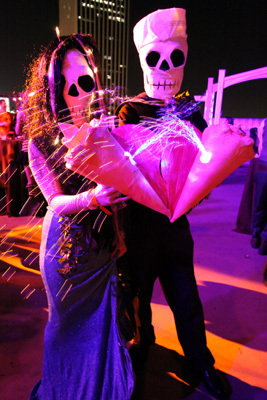 The weekend celebration ramps up on Saturday night when the Muse Dead Man’s Ball takes over the LACMA campus. General admission tickets for the costume ball sold out yesterday, but there are still a few membership packages available–or listen to KROQ for your chance to win a pair. 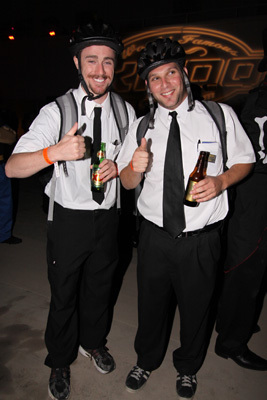 We will also be posting pictures of the festivities and all of the amazing costumes next week. 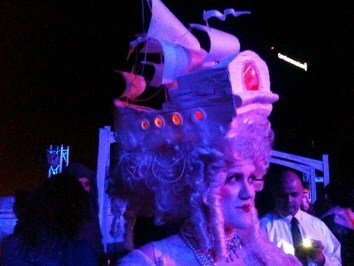 If you are still looking for costume ideas, check out a slideshow from past costume balls. On Sunday, we honor Tim Burton’s idol Vincent Price by showing six of Price’s films back-to-back, starting at 1 pm. Curator Britt Salvesen wrote about Burton’s relationship with Price in yesterday’s blog post. Tickets for all of the films in this series are free, so drop by for one or stay for all six. Our shop, restaurant, and bar will all be open late this weekend so make sure to check out their updated hours and specials (like jack-o’-lantern soup!). During the closing weekend of the Tim Burton exhibition, we are also celebrating the centenary of Vincent Price. This is an appropriate pairing because Price was one of Burton’s heroes from an early age. “Vincent Price was somebody I could identify with,” Burton has said. “When you’re younger, things look bigger, you find your own mythology, you find what psychologically connects to you. And those movies, just the poetry of them, and this larger-than-life character who goes through a lot of torment—mostly imagined—just spoke to me.” In 1982, Burton made the five-minute film Vincent (on view now in the exhibition) for Disney, in collaboration with animators Rick Heinrichs and Steven Chiodo. Brought to life by stop-motion animation, a young boy dreams of being Vincent Price, his consciousness shifting between his suburban reality and a fantasy world. To Burton’s amazement, Price himself agreed to do the voiceover for Vincent, which Burton recalls as being “probably one of the most shaping experiences of my life.” Price later provided the introduction to Burton’s next Disney project, Hansel and Gretel (1983). Price’s last screen appearance before his death on October 25, 1993, at the age of eighty-two, was in Burton’s now-classic Edward Scissorhands (1990). Price plays Edward’s inventor-father, a role that paralleled Burton’s own feelings about Price as a mentor. At the time of Price’s death, Burton had been working on a documentary about his idol. Although that project was never realized, Burton remains grateful today that he had a chance to get to know this generous man who had such an impact on his approach to filmmaking. Unlike Burton, who had a suburban upbringing, Price came from a wealthy family (his grandfather invented the first cream of tartar baking powder). However, Price chose to pursue the arts rather than business. Before succumbing to the allure of the stage, he studied art and art history at Yale University and the Courtauld Institute of Art in London. Throughout his life, Price not only appreciated and collected art, but he also often encouraged others to do the same by donating from his own personal collection. 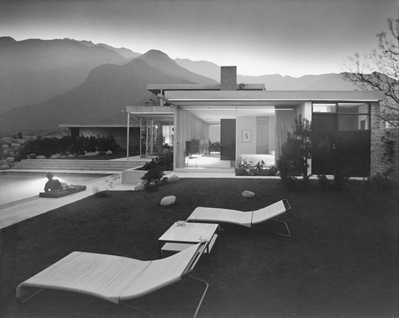 In 1951, Price donated artwork to East Los Angeles College, and the initial donation grew into the Vincent and Mary Grant Price Gallery by 1957. Today, the gallery has become the Vincent Price Art Museum and is the first institutional art space to serve East Los Angeles. Price didn’t shy away from peddling art to the masses—he was the spokesman for Sears Roebuck and its “Vincent Price Collection of Fine Art” during the 1960s. LACMA was another fortunate beneficiary of Price’s generosity in 1986, having received a gift of ten drawings from Price and his wife, Mary’s, collection. 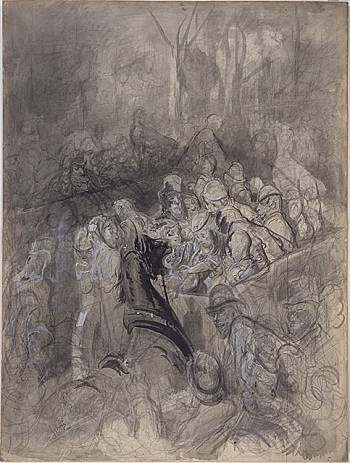 One stand-out piece from this gift is a drawing entitled Derby Day, by the important nineteenth-century French draftsman Gustave Doré. With its dynamic line and boisterous energy, the drawing could almost be a storyboard for a film starring Vincent Price or one directed by Tim Burton. The Tim Burton exhibition will no doubt inspire many young artists. 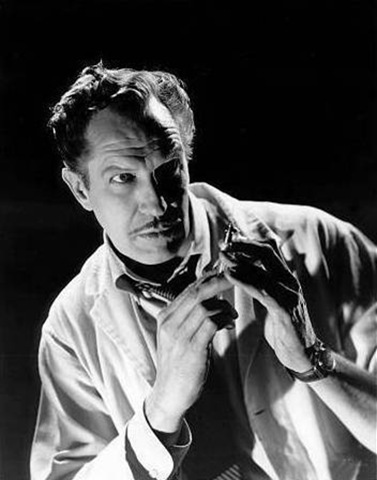 Our upcoming “Price-a-Thon 100” film series is a great opportunity to gain insight into how Burton himself found inspiration in Vincent Price. On Tuesday night LACMA will screen Apichatpong Weerasethakul’s critically acclaimed film, Uncle Boonmee Who Can Recall His Past Lives. The film traces the last days of Uncle Boonmee, who, suffering from acute kidney failure, has returned to his home in the countryside of northeast Thailand to spend his final days with his loved ones. As his health deteriorates, Uncle Boonmee wavers between his present and past lives—both human and animal—while visited by his deceased wife, who comes to care for him, and his long lost son, who has returned in the form of a monkey ghost. The film’s main character is based on a real-life person, known simply as Uncle Boonmee, whom Weerasethakul encountered while living in northeast Thailand. The real Boonmee had come to study meditation with the abbot of a nearby Buddhist monastery. Upon closing his eyes for his daily practice, he experienced visions of his past lives as though he were watching a movie based on his memories. He related his stories to the abbot who later recorded them in the book, A Man Who Can Recall His Past Lives. Weerasethakul created his fictional narrative drawing on both the real Boonmee’s experience and Weerasethakul’s own memories, such as the passing of his father, who died from kidney failure. The result is a series of dreamlike vignettes that come together in a stream of consciousness. Weerasethakul’s first draft for the feature film came in a 2009 short entitled A Letter to Uncle Boonmee, perhaps a perfect distillation of the filmmaker’s ruminative, tropical materialism. Weerasethakul’s works are largely jungle-bound, or at least jungle-adjacent, crackling with rustling leaves and the snap of bug zappers. 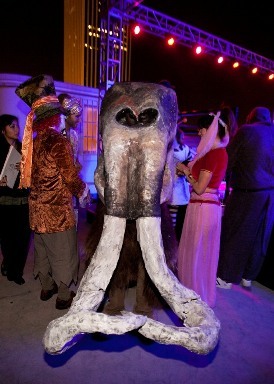 They inhabit realms both natural and man-made, often visited upon by fabled creatures depicted in no-nonsense costumes. The past always seeps into the present like sunlight leaking through a shuttered window—real time slipping off its sprockets. Perhaps Weerasethakul’s most labyrinthine narrative since his Lewis Carroll–like debut Mysterious Objects at Noon, Uncle Boonmee drifts through alternate realities and nested flashbacks, opening up the story’s temporal space just as Weerasethakul’s framing implies the seeming endlessness of the vast forests that he films. His performers, languid and unfazed, don’t drive the story with their actions but rather explore its blind spots and ellipses through their conversations, offering tangents and remembrances, legends and non-sequiturs. The forward thrust of life is offset by the pull of memories. The cycle of samsara can only be stopped by attaining enlightenment, or nirvana. According to Buddhist literature, the Buddha himself lived through several past lives before he reached enlightenment as Shakyamuni, the Buddha of our time (born around the fifth century BCE). The Buddha’s past lives are recorded in the jataka tales, or birth stories, of which there are over five hundred. Some scholars believe the jatakas were adapted from popular morality tales created by early Buddhist practitioners to explain the ethical teachings of the Buddha to his followers. The jatakas have been known throughout the Buddhist world for over two millennia. Transmitted from one generation to the next by way of oral tradition and sacred manuscripts, jatakas are also frequently depicted in visual art. Examples of illustrated jatakas from Thailand are currently on view in the Ahmanson Building in the installation, The Way of the Elders: The Buddha in Modern Theravada Traditions. Perhaps Uncle Boonmee Who Can Recall His Lives reframes this tradition of visualizing the Buddha’s past lives for the mundane world, charting an ordinary man’s journey through various realms of existence. 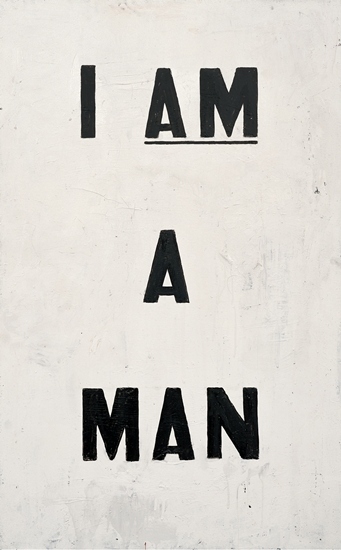 Glenn Ligon: AMERICA is open now to members, and opens to the public this Sunday. 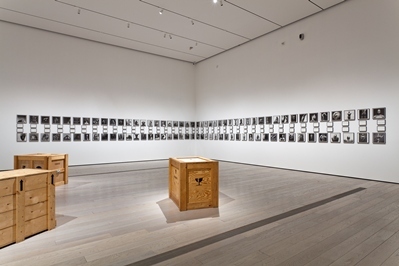 The exhibition gathers twenty-five years’ worth of works by the artist, known for work that explores race, sexuality, representation and language. 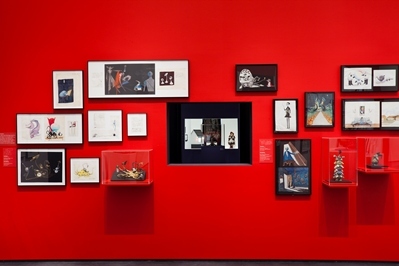 There are only ten days left before Tim Burton closes. Ten days! Have you seen it yet? What’s stopping you? Here’s some encouragement: tonight many of Burton’s closest collaborators will be on hand for a panel discussion about bringing Burton’s world to life. 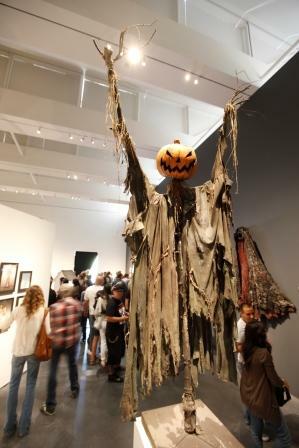 Composer Danny Elfman, costume designer Colleen Atwood, and art director Rick Heinrichs will talk with Museum of Modern Art film curator Ron Magliozzi, who organized the exhibition. This will be followed by a spectacular 70mm screening of Edward Scissorhands. Additionally, to accommodate demand, we are offering extended hours for Tim Burton this weekend: it will open at 10 am on Saturday and Sunday, and will also remain open until 9 pm on Saturday. (The rest of the museum will stick to its regular hours.) Families—Sunday might be a great day to come so you can take part in the Tim Burton-themed Andell Family Sunday activities. No matter when you come, buying advance tickets is strongly recommended. Also happening tonight, the Tamir Hendelman Trio performs for free during Jazz at LACMA. Make it a date by having dinner or drinks at Ray’s and Stark Bar. Speaking of drinks, Saturday night offers a fun and unique way to see our current California Design exhibition with our popular Art of Wine series. Take a guided tour of the show, followed by a history of the growth of winemaking in California during the same time period. Five California wines will be available for tasting. As mentioned earlier this week on Unframed, artist Ken Gonzales-Day will give a free talk in the Art Catalogues bookstore about Edward Kienholz’s Five Car Stud and the larger topic of race and whiteness in sculpture. He’ll also be signing copies of his new book, Profiled, published by LACMA. Finally, close out the weekend with the music of Franz Liszt, as performed by pianist In Young Huh for our free Sundays Live concert series. Glenn Ligon: AMERICA opens to the public on Sunday—and is on view now for members. In anticipation of the opening, we asked the artist a few questions about his first major retrospective. 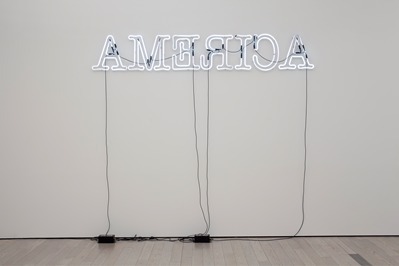 The word “America” appears in some of your works (including in Rückenfigur, acquired by LACMA in 2010) as well as the title of the exhibition. Why did you choose that for the title of your retrospective? The word appears in many of the texts I have used in paintings and neons, and American history and culture has long been the subject of the work. Using the word “America” as the title of the exhibition was a good way to sum up that ongoing interest. Early in your career, paint on canvas was your medium. What inspired you to eventually move into other mediums, including photography, drawings, sculpture, and neon? I chose to work in other mediums because they allowed me to more succinctly address the issues I was grappling with in the work. For instance, the piece Notes on the Margin of the Black Book started as a drawing project but I quickly realized that if I was going to comment on Robert Mapplethorpe’s photographs it made more sense to use the actual images than to recreate them. Notes on the Margin of the Black Book is a reflection on the cultural debates surrounding Robert Mapplethorpe at the time. 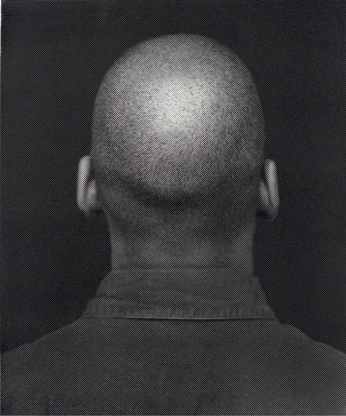 What was it about Mapplethorpe, or the greater debate, that compelled you to do that piece? The debates around those photos were a snapshot of larger debates going on in the culture about representation, sexuality, censorship, the role of art in the culture, etc. The piece was an attempt to broaden the range of reference in my work. How does it feel, thirty years into your career, to see so much of your work presented in whole? To see your works from the 1980s juxtaposed against more recent works? Retrospectives are a good way to see what you have done and what you still have to do. It is a fantastic opportunity to see things I have not seen in years. In anticipation of photographer Ken Gonzales-Day’s lecture on Edward Kienholz’s Five Car Stud this Sunday, we sat down with the recent Photographic Arts Council (PAC) Prize–winner to discuss his work—including Profiled, his 2011 PAC Prize publication—and how it relates to the politically engaged Five Car Stud. In Profiled, Gonzales-Day examines the construction of Western ideas of race and identity from antiquity through the twentieth century by photographing portrait busts. Though the busts themselves are very much relics of previous centuries, Profiled is as much about the present as it is about the past, providing a new perspective on what it means to be profiled in our own time. What was it about the sculptural bust—perhaps the most unfashionable form of portraiture in contemporary art—that you found so interesting? What did you think you would discover by photographing these sculptures? While in residence at the Getty Research Institute in 2008, I would see visitors walk past the portrait busts with hardly a passing glance. I wondered why these works had become so illegible to contemporary audiences that they scarcely saw them. At the time, I was doing research on seventeenth- and eighteenth-century texts dealing with race, as well as texts that included racial depictions. In Profiled, I wanted to try to trace the emergence of racial categories themselves as a scientific “fact.” I had hoped that photographing the busts might give me a new perspective on the research and perhaps provide some new insights that I had missed in the more academic research. I was looking for little clues that pointed to the ideological underpinnings of the work. I wondered what ideas influenced the artists or had driven the commissions in the first place. Photography allows you to construct a particular way of seeing these sculptures. How did making use of the “mug-shot” convention add to your thinking about your subject? Initially I began by shooting everything in profile, as a way of foregrounding the early emphasis on the analysis of the facial profile so favored by the so-called pseudo-scientists [the mug-shot profile was a photographic mode invented in the late nineteenth century to document and categorize criminals and “deviants”], but it was also a play on the idea of “profiling” the museum’s collections themselves. After all, what do these collections reveal about the institutions themselves and their very real origins in the same Enlightenment project that fostered and supported the creation of racial categories—or types—in the first place? They were literally being profiled as a kind of institutional critique—but one that extended beyond any single institution or collection and that strove to provide a critical look at a number of representational strategies (or styles). How did producing a book affect the project as a whole? Does the book provide an alternative way of viewing and understanding the body of work in a way that an exhibition or simply viewing the images online might not? The project evolved as the book evolved. The LACMA PAC Prize provided an amazing opportunity to work on a project in depth. Ultimately, the book project allowed me to place objects together in a way that would never be possible in an exhibition. Certainly, some of the works would never be lent for an exhibition, and many of the works can only be found in storage vaults. In organizing a book, I was able to lay out a visual journal that would be difficult to replicate in a museum space. You are about to give a talk at LACMA on Ed Kienholz‘s Five Car Stud as well as your previous work in which you photographed trees that had been the site of lynching. There are clear parallels there. In what ways might you see your work, and Profiled in particular, as akin to Kienholz’s? Five Car Stud depicts the castration of an African American by a group of presumably white men, as a white woman and a young child look onto the violent scene. The sculptural depiction of a lynching in 1972 is clearly a political statement. For Kienholz, it spoke to the inequality faced by blacks in the United States. 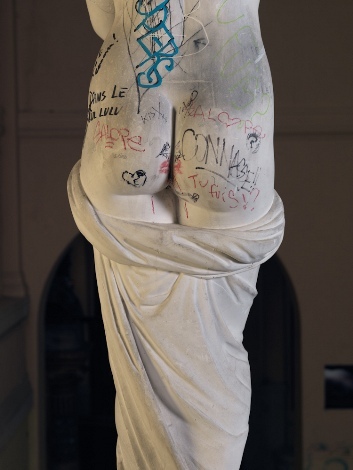 Today, it remains a powerful and disturbing work, but it must also be located within the larger discussion of whiteness, and, for me, it must also be located within the larger discussion of racial depictions in sculpture. After all, what is it to see this image—a three-dimensional re-creation of a racist fantasy—in a city where Latinos were lynched more than any other race? Five Car Stud is a sculptural depiction of racial violence, and, as a result, the images of Five Car Stud stand at the intersection between both the Profiled project and my previous work on the history of lynching in California. I am still working though a great many questions around the work, and I am definitely looking forward to hearing what people think about it. You are currently browsing the Unframed The LACMA Blog blog archives for October, 2011.